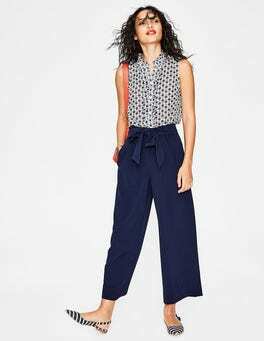 …soft jersey fabric, this top will have you feeling cool and comfortable from morning presentations all the way through to post-work prosecco. 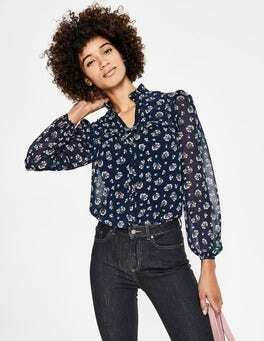 Let's not forget the subtle all-over print with a contrasting neckline and cuffs, as well as the ruffle sleeves to add a little fun to your weekday wardrobe. …holiday packing list for nights at the beach bar. 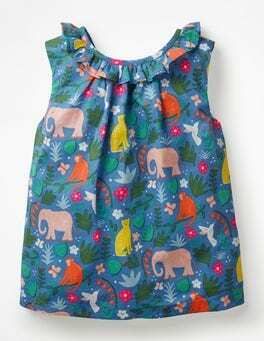 The relaxed fit and floaty fabric keep you cool and it has an intricate weave that lends touchably soft texture. Generous blouson sleeves are softly gathered at the cuffs, while mini ruffles on the front add dressy detail to nail evening elegance. 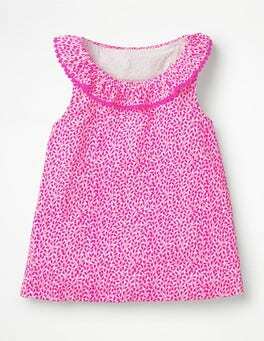 …animal print, although it is pretty fierce. 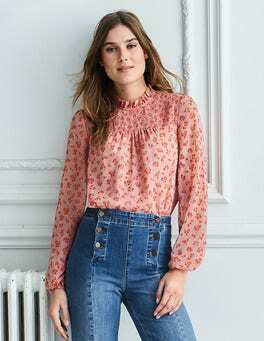 Upon closer inspection, this light-as-a-feather, loose-fitting top has a subtle mini-petal design twinned with tactile tiered ruffles. 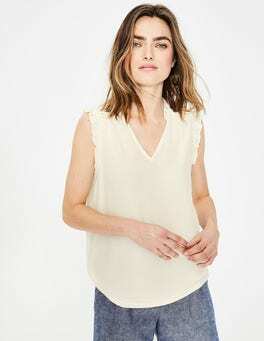 It's semi-sheer and comes with a detachable camisole (depending on where you’re going and how brave you’re feeling). 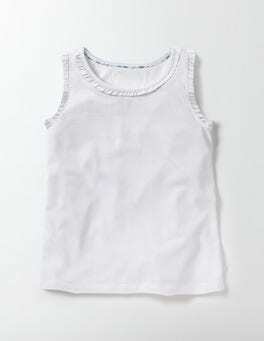 …for this sleeveless top. 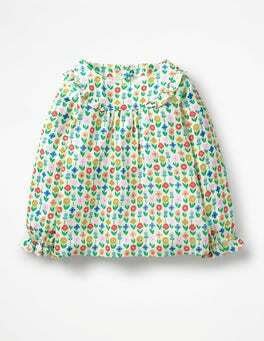 It has a loose, swingy shape for showing off to the grown-ups while twirling across the dancefloor. 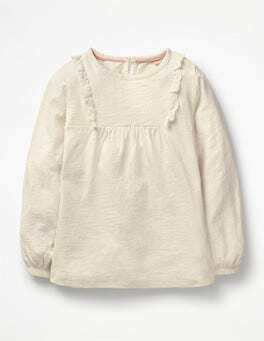 Crafted from delicately textured voile fabric and fully lined, this top fastens with buttons at the back. The highlight? 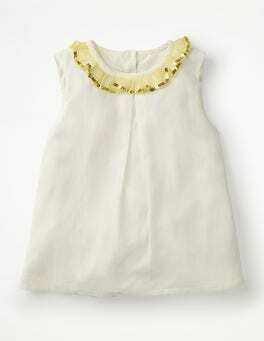 A ruffled neck embellished with sparkling sequins. 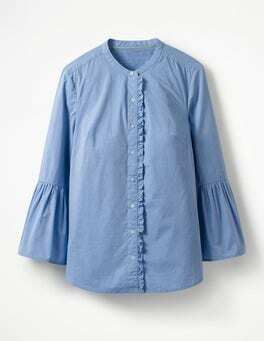 With playful tassels, ruffled sleeves and pretty trims, you can pop this on and feel perfectly put-together. The lightweight cotton voile makes it easy to wear whether you're exploring far-flung shores or just trying to keep cool in the office. …just-right top – and here it is. The fabric drapes for no-effort femininity and is best friends with (drum roll) the washing machine. 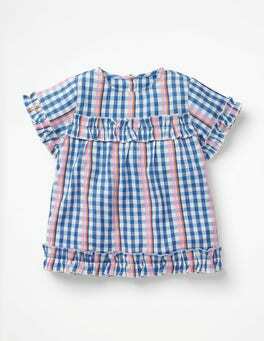 The petite pleated ruffles running around the notched neckline and sleeves top off the elegant feel. For ultimate versatility, you can wear the neck open or closed.